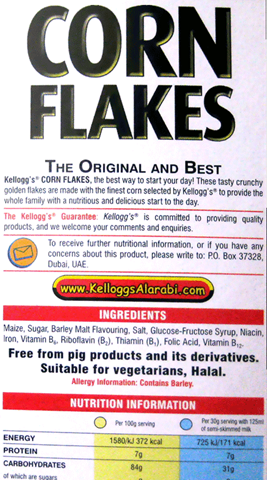 It is not indicated on Kellog’s website whether the vitamins B12 are naturally present, or added to the fortified cereals. 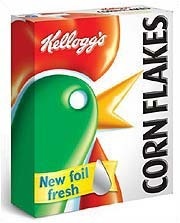 The government of Denmark has banned the sale of fortified breakfast cereals made by Kellogg’s. These include Rice Krispies, Corn Flakes, and Special K. Why were they banned? Because they are fortified with vitamins like vitamin B6, B12, folic acid, iron and calcium. Rather than giving up a daily multivitamin-multimineral supplement or taking it every other day as a way to prevent getting too much folic acid, a better strategy would be to get in the habit of taking a multivitamin-multimineral supplement every day and avoiding foods fortified with more than 100-200 micrograms of folic acid (25% to 50% of the % Daily Value). Vitamin B12 cannot be made by plants or animals as only Bacteria <—have the enzymes required for its synthesis. The total synthesis of B12 was reported by Robert Burns Woodward and Albert Eschenmoser, and remains one of the classic feats of organic synthesis. Even though they mention b12 in kellogs, i don’t think it would be reliable – I think for vitamins and minerals its best to stick with super-foods (spirulina, chlorella etc) and supplements.